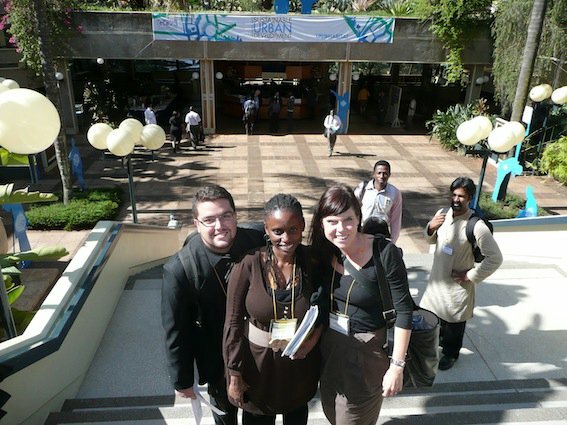 Youth 21: Increasing youth participation in the UN system! Are you a youth activist or advocate?! Do you think young people should play a greater role in the UN system?! 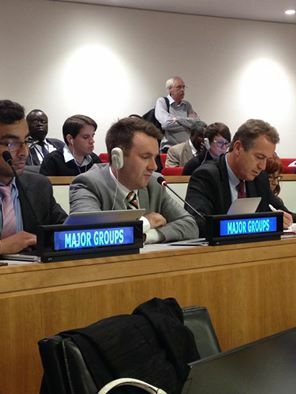 Do you have views on what should be the mandate of the UN SG Special Advisor on Youth issues?! So you got to stay tuned on the Youth 21 Initiative!!! 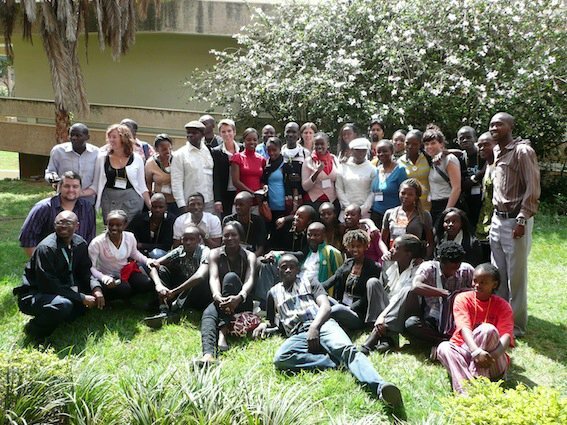 The UN-HABITAT Urban Youth Fund facebook page will be hosting all the information on the Youth 21 Initiative and will be filled with updates in the lead up to and during the Global Youth 21 – March Meeting in Nairobi (March 15 – 18). Make sure you are connected with us to find out how you can be involved in this initiative to increase youth engagement in the UN and in democratic governance. If you are not very familiar with the UN system, the Governing Council works as a subsidiary body of the United Nations General Assembly (UN-GA) and basically serves as the intergovernmental decision-making body of UN-Habitat. 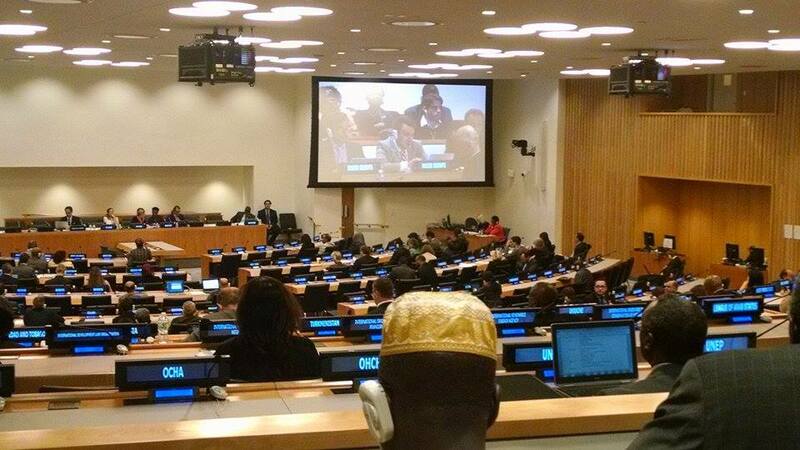 So, every two years all the governments which are members of UN-HABITAT gathers to make decisions. 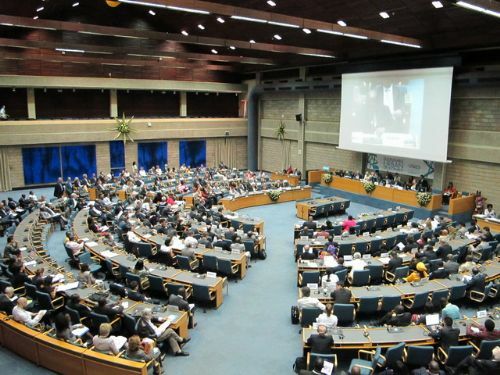 3- To approve the UN-Habitat’s biennial Work Programme and Budget. Since I am the Latin American and Caribbean representative at the UN-HABITAT Youth Advisory Board, once again I had the opportunity to attend the governing council. At the event, our role as YAB members varies a bit, but mostly we are there to facilitate and host the Youth Caucus meetings every morning, to meet with different UN-HABITAT officials and branches to discuss youth mainstreaming strategies as well as programme collaboration opportunities and finally, to lobby and mobilize our governments to pass resolutions which support our youth efforts. Photo of the Youth Caucus Meeting held every morning. This year, on top of lobbying our governments, the youth present at the Governing Council decided to organise a FlashMob to raise our concerns among the governments which were discussing the Youth Resolution. The idea was a bit too innovative for UN security, but on and on, we managed to get our message across and gain the support from many people which were passing by and felt passionate about our call for a more meaningful intergenerational partnership. We managed to achieved support from the governments of Brazil and South Africa, which along Norway’s continuous support, was enough to get approved the YouthResolution which advances many fronts for us youth advocates within UN-HABITAT. (If you want to see all the resolutions which were passed, check http://www.unhabitat.org/list.asp?typeid=18&catid=658 for more information).